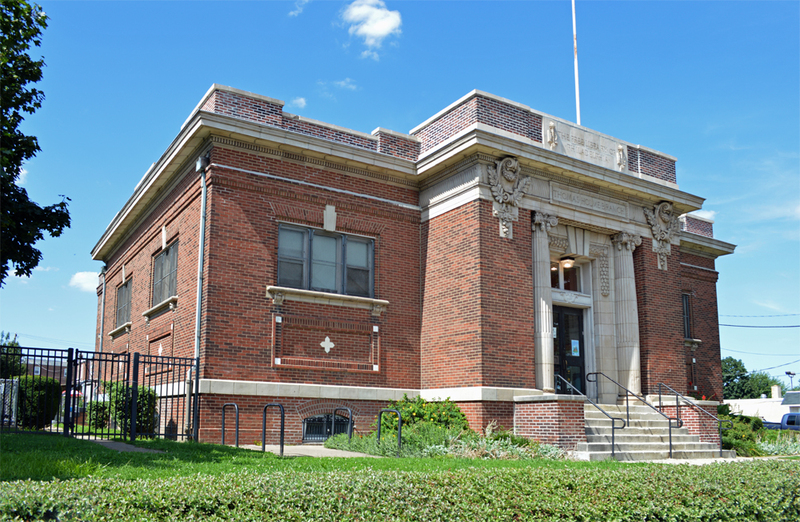 Starting this Saturday, February 22nd, the Holmesburg Branch of the Free Library of Philadelphia will open on Saturdays for the first time in four years. Eleven other neighborhood libraries will also resume a six-day schedule: Andorra, Bustleton, Eastwick, Lillian Marerro, Lovett, Nixon/Cobbs Creek, Santore, West Oak Lane, and Widener. 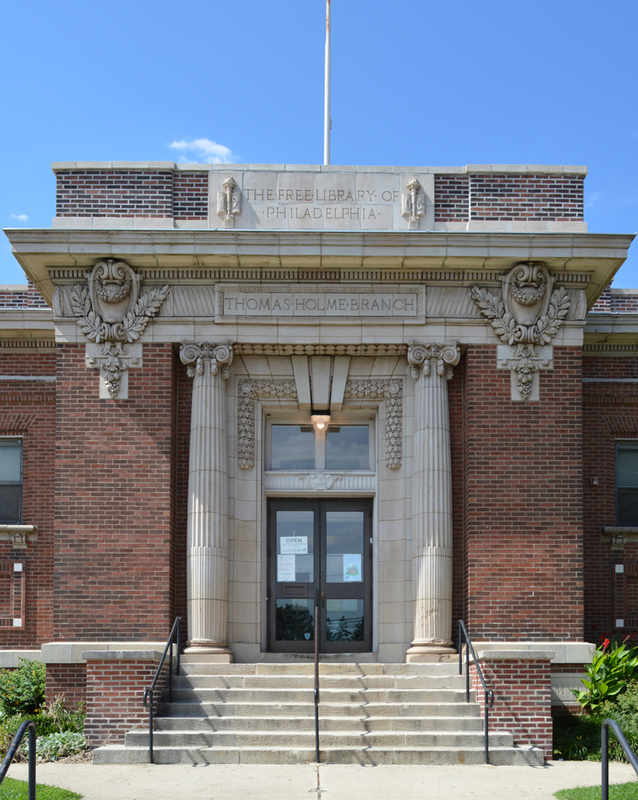 The Donatucci and Fumo libraries will be open six days a week while the new South Philadelphia Library is under construction through early 2016. 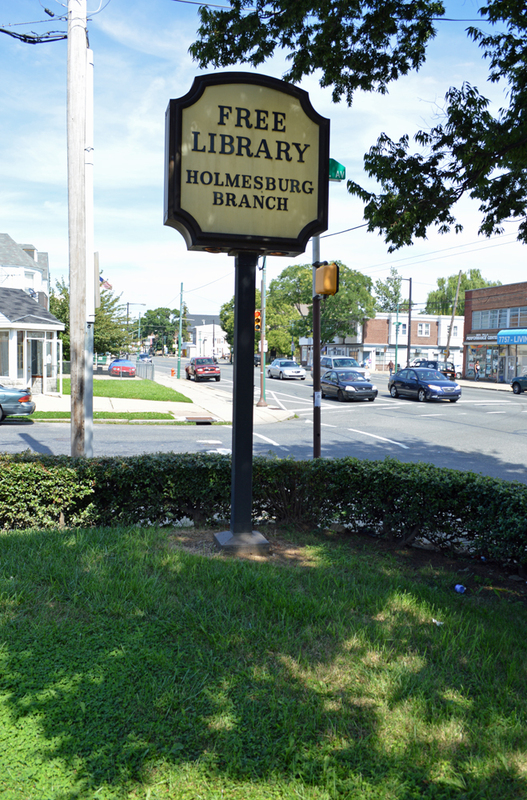 Holmesburg Library is able to offer supplemental hours because of an increase in their city operating budget, supported by Mayor Nutter. 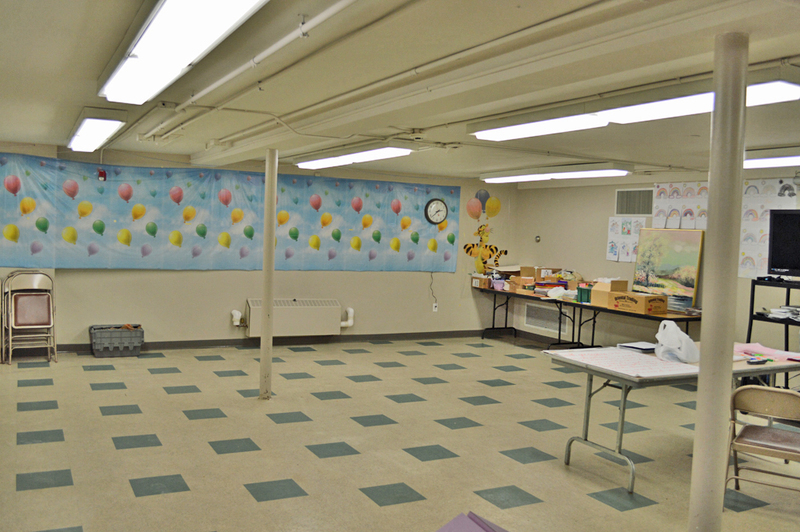 Located at 7810 Frankford Avenue (at Hartel Street), the branch serves the Holmesburg and Mayfair neighborhoods. The library is named after Captain Thomas Holme (1624-1695) of Waterford, Ireland who was appointed Surveyor General of the Province of Pennsylvania by William Penn and drafted the original plans for the City of Philadelphia. 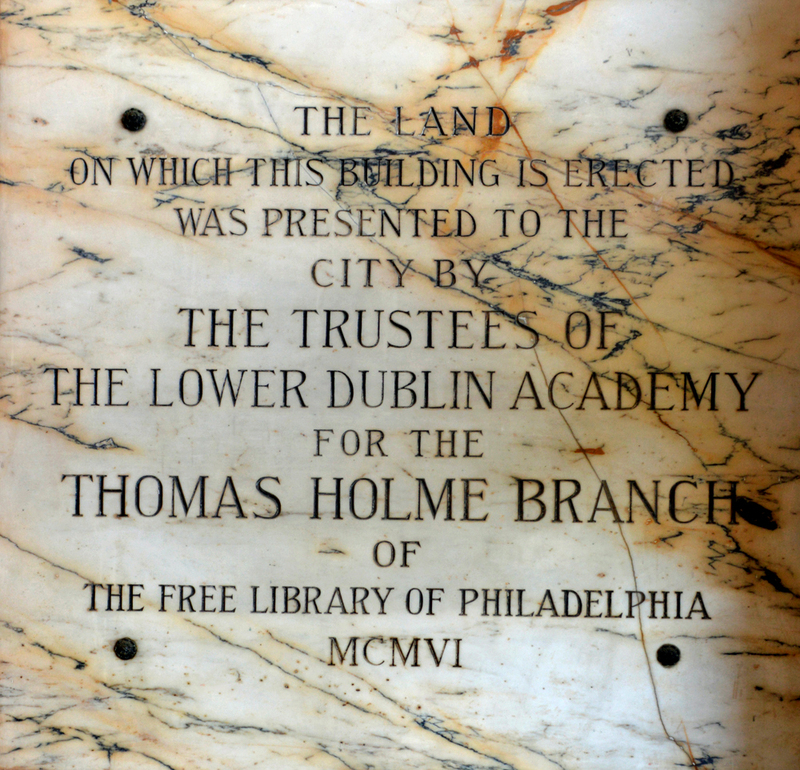 Through a trust founded by Holme, the Trustees of Lower Dublin Academy donated the land for the library. 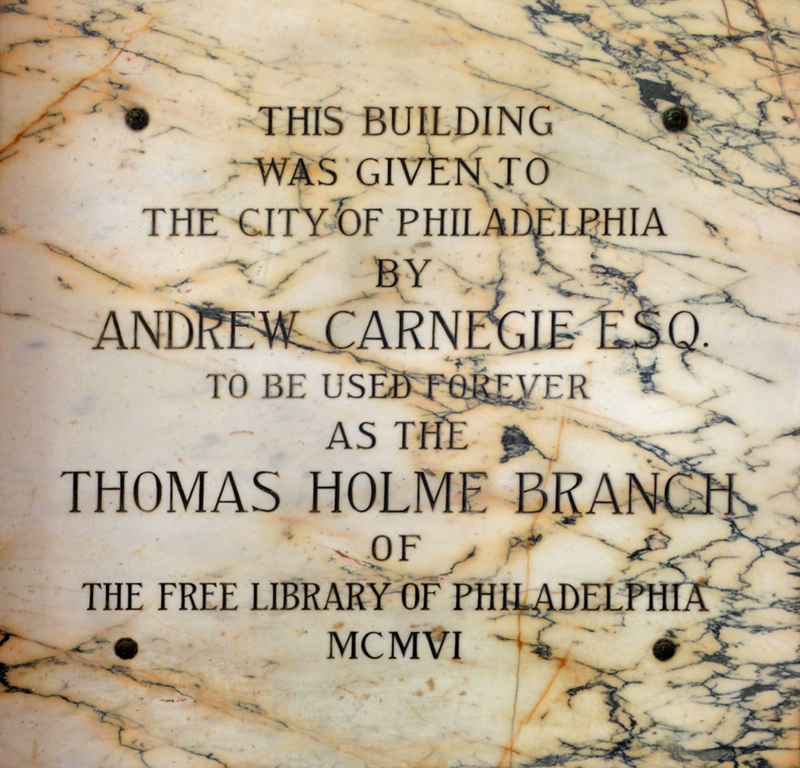 It is the fifth of twenty-five branch library buildings in Philadelphia constructed through an endowment from the Carnegie Corporation of New York. 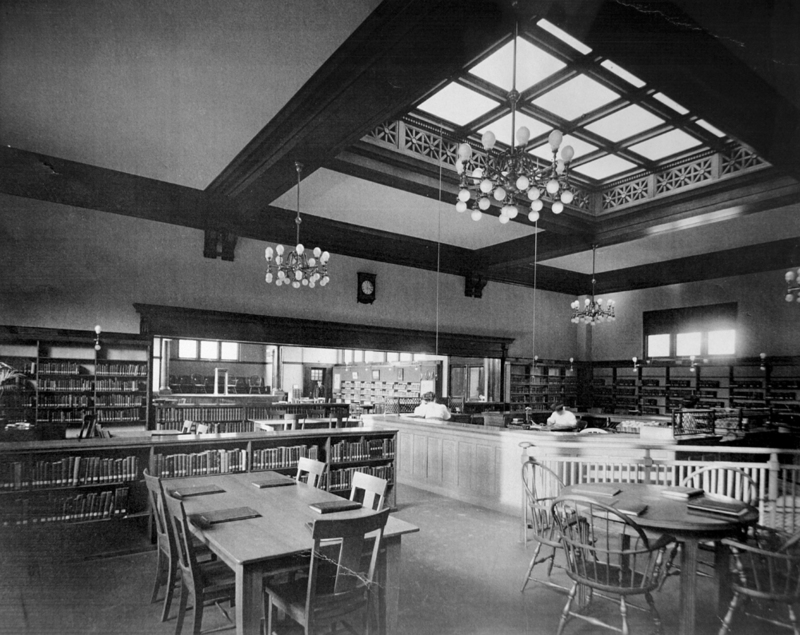 The library, which opened in its current location in 1907, is considered a quintessential Carnegie library because of its T-plan layout, raised basement, brick construction and understated Beaux-Arts style. 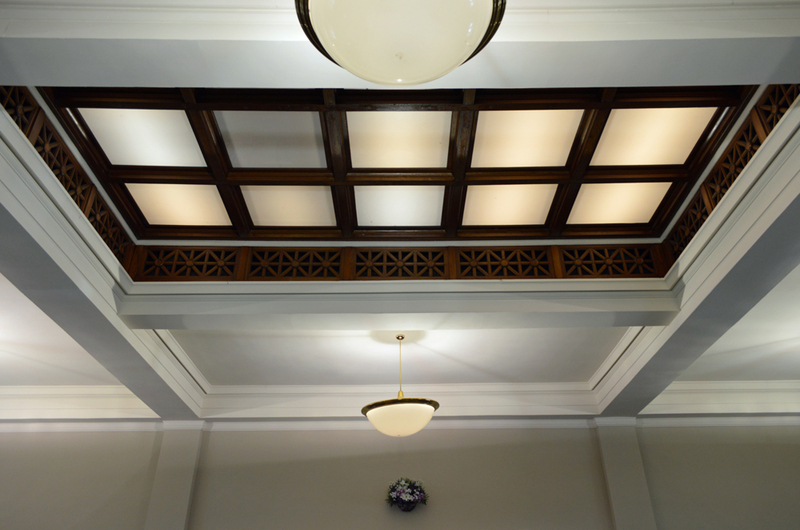 Designed by architect Horace W. Castor of Sterns & Castor, it also has the distinction of being the smallest of the branch libraries. 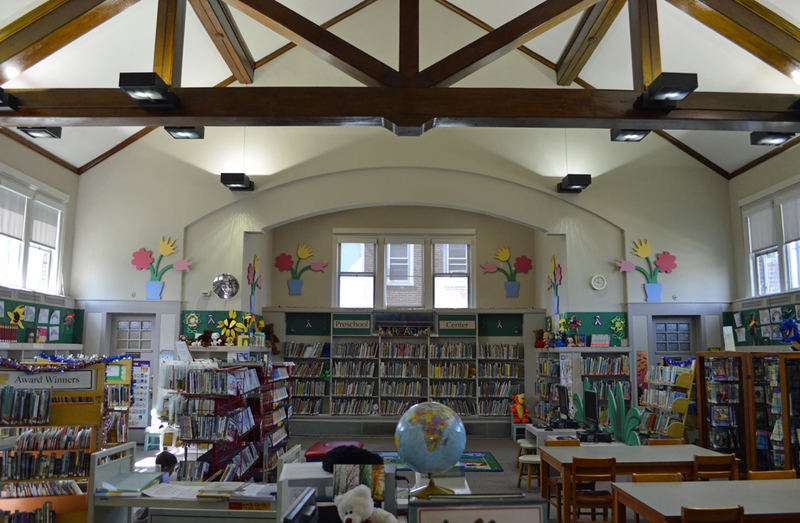 While Holmesburg Library, of course, offers free books and free access to its multitude of subscription databases, it also provides access to air conditioning during the summer heat and WiFi year round which many in the community don’t have at home. Recently, the library installed additional electrical outlets to accommodate patrons who bring their own laptop computers. 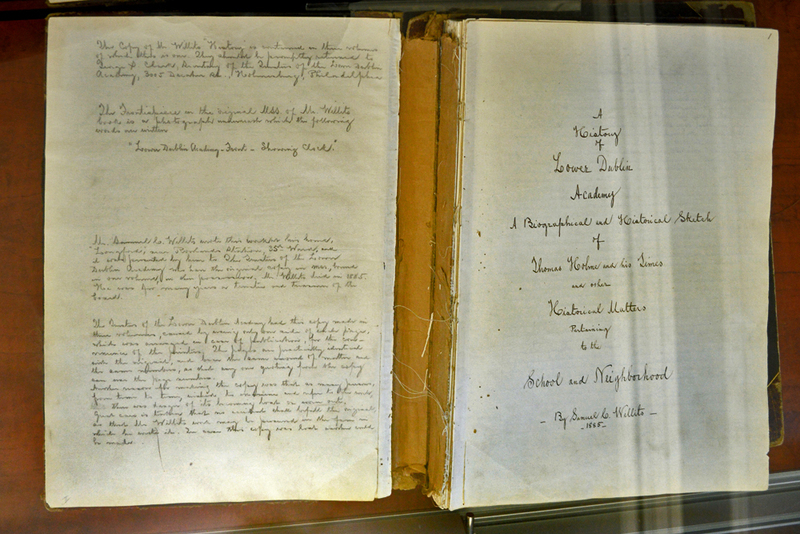 Unique to the library is an original manuscript: A History of Lower Dublin Academy: A Biographical and Historical Sketch of Thomas Holme and his Times & Other Historical Matters by Samuel C. Willits, 1885. 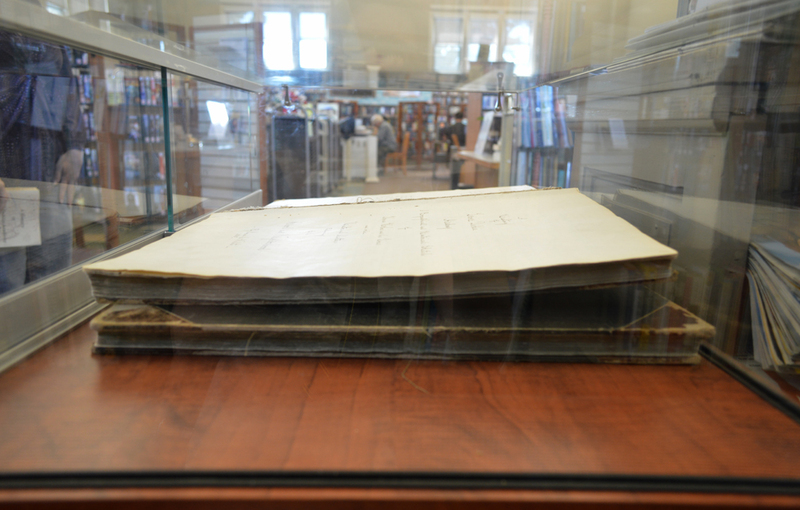 Willits’ manuscript, its recently published transcription and other rare local history books, such as Captain William Crispin and the Crispin Family, are part of a browsing collection, which are not available for circulation. The library creates community events for a broad age range and holds the majority of them during the summer, taking advantage of the adjoining lot. 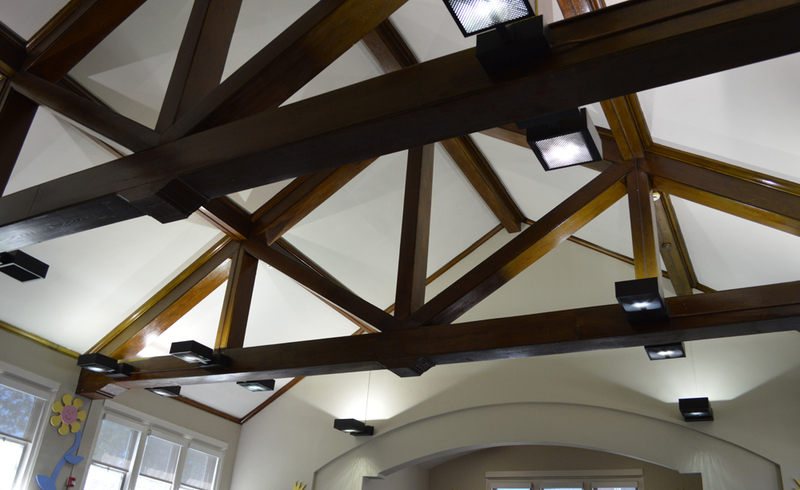 Unfortunately the library was closed for a few weeks last summer because plumbing issues in the basement caused extensive damage, but repairs are now complete. The library presents stories and rhymes at Preschool Storytime once or twice a month. The next one is scheduled for Tuesday, February 18 at 10:30am. On the evening of Wednesday, February 26, the library will host a workshop, Make Your Own Eden: Container Gardens. Check their web site for dates and times or stop by the library and pick up a flyer. 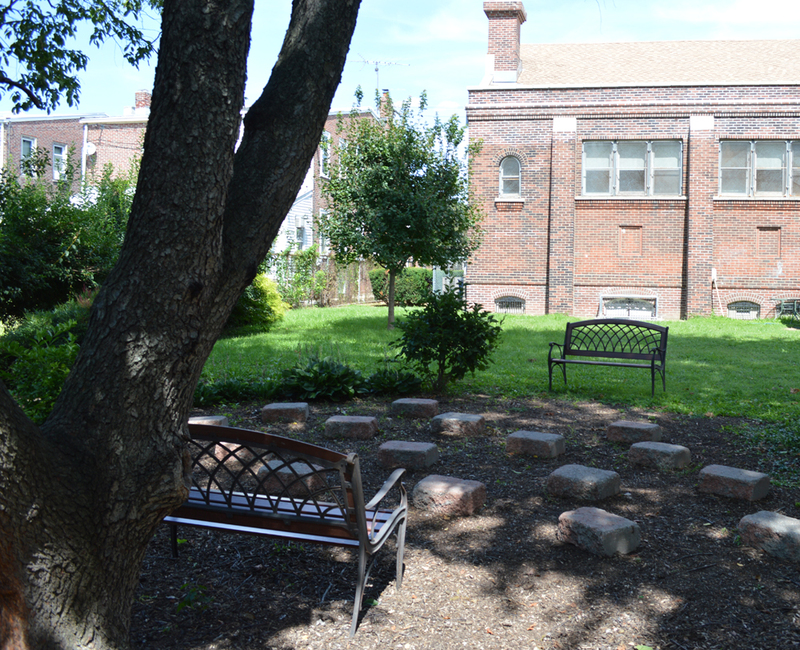 To launch a short photo essay of the Holmesburg Branch of the Free Library of Philadelphia, click any of the images below. All photos by Sarah Barr except for numbers 6 & 7, which are copies of historic images on display at the branch. Sarah Barr is a native Philadelphian who briefly spent time rowing in an 8 boat on the Schuylkill. She earned her B.F.A. 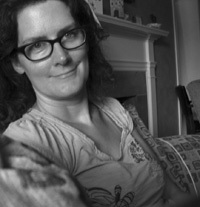 from Rosemont College and her M.F.A. in Visual Arts at Lesley University's College of Art & Design. I remember going to the Lehigh Avenue branch library and walking up all of those steps. This was a beautiful library with a LOT of marble. I believe it is closed now, just like everything else in that city square block and most of that neighborhood. Thank you for this interesting article. The Lehigh Avenue branch is still very much open! In fact as of this week it is open six days a week. It is called the Lillian Marrero Library now, at 6th and Lehigh. In the next year it will have a renovation making it an up to date 21st century library, within the beauty of the original Carnegie Library. Come and see it. Thank you Rebekah. I live in Maine now and it would be difficult for me to get there, I wish I could. Take care. This is wonderful. 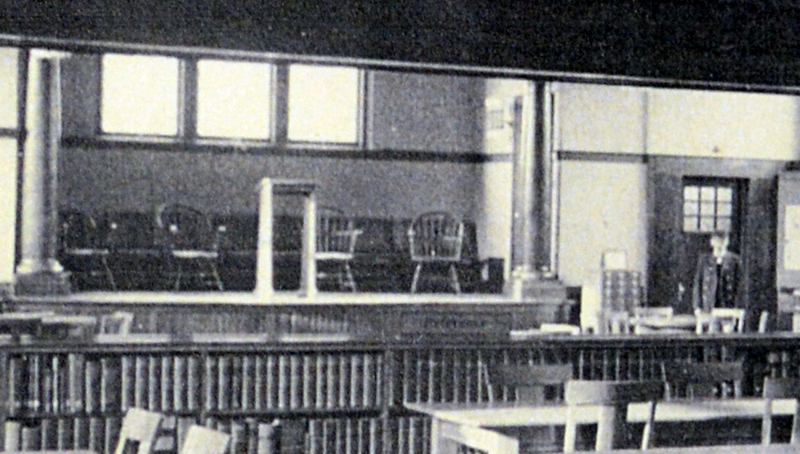 I spent many hours at the Holmesburg Library. Sometime around the age of 10 when I moved to an apartment around the corner I would be at the library everyday. It got to the point that they started putting me to work shelving books and helping with he summer reading program. When I left the area the circulation desk was still at the front door and the skylight was covered. They were just starting the remodel when I left.